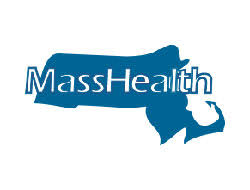 We are excited to announce that applications for MassHealth Delivery System Reform Incentive Payment (DSRIP)’s Loan Repayment Program and Workforce Development Program are now open! Both of these opportunities are specific to behavioral health providers. If you are a LCSW or LICSW and have student loan debt, I encourage you to apply. Applications for both programs are due April 6, 2018. You can also learn more about the Loan Repayment Program here and the Workforce Development Program here. Both of these programs are excellent opportunities for social workers and are being administered by the Massachusetts League of Community Health Centers (MassLeague). You can read the announcement letter from MassLeague’s President & CEO below. Please let me know if you have any questions. I wish you luck on your application!